Turns out I ordered the wrong cam angle sensors, they still fit but the plugs come out in different directions, the engine actually uses 4 or 5 sensors that are basically the same so I've swapped them around so the ones visible on the top of the engine match. Drew up and cut out some engine mount plates, there's a boss on the block that I missed as I measured up off the engine mount so I need to modify the plate slightly for that. Also drew up some exhaust manifold flanges so I'll cut them out another day. Had a bit of a better look at the sump and found an issue I hadn't seen before, the lower bell housing bolts actually go into the sump. 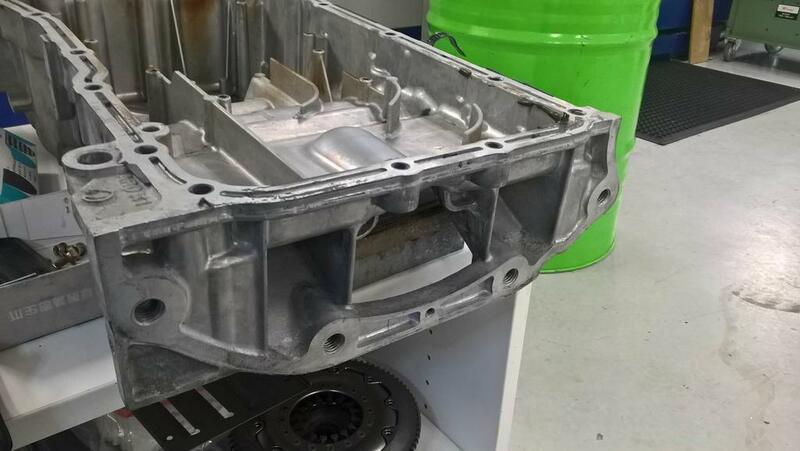 I talked to James and we came up with the idea of making the sump flange and then making the bell housing bolt part as a separate piece that uses the 4 rear sump bolts to attach to the sump, I'll probably end up dowelling it to the sump flange too. Haven't done much on this lately, still looking for the thermostat housing parts for it. Work has just bought a big 3D printer that prints a carbon fibre impregnated plastic stuff called Windform, one of the things it's used for is inlet manifolds so I think instead of machining them out of ali I might 3D print them instead. 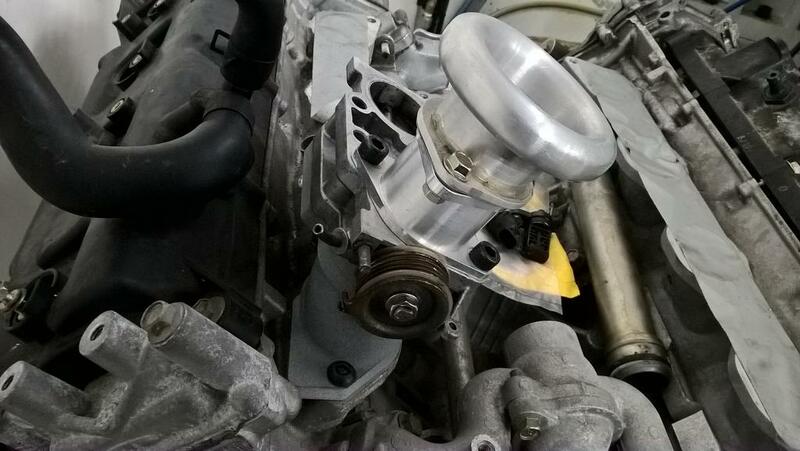 I thought about printing manifolds with throttle bodies built into them but will probably still use RB26 throttle bodies. The new printer got installed over the last fortnight but the Windform material won't be here for a bit, but I've started back on the inlet manifolds, I'm pretty happy with where they're at apart from the inlet ports, I'm going to put them on the inside of the valley rather than the outside like OE, just need to measure the port to see what kind of angle I should put them at. I think I'll print one out of nylon once I've figured out this injector thing. 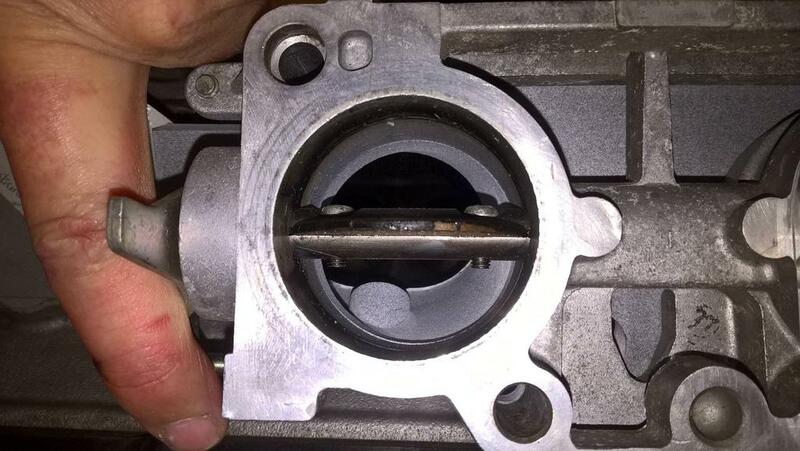 I'm probably just going to have to bite the bullet and buy a new thermostat housing from Nissan, they're about $140. First trial of the 3D printed manifold, it needs a bit of tweaking but overall it's pretty good. So you printed that in plastic ? 2 doors wrote: So you printed that in plastic ? Tossed up for a few days on whether to spend $220 to get a new thermostat housing thing and decided I'd try and fix the old one first. 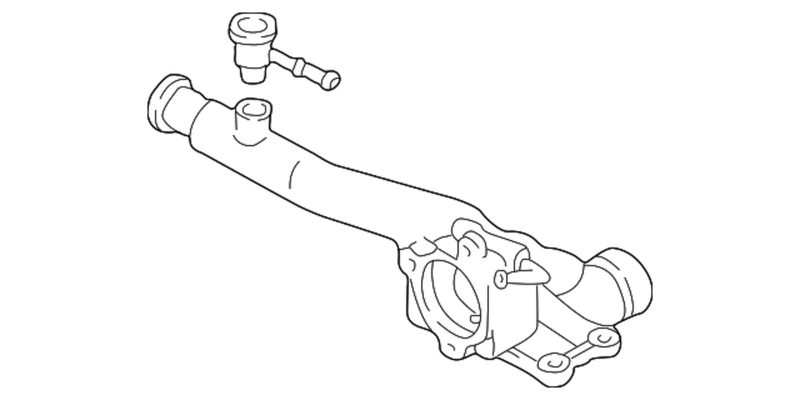 Basically the flange that bolts to the engine is mostly gone and the long part with the cap fitting on it is broken off close to the main body. 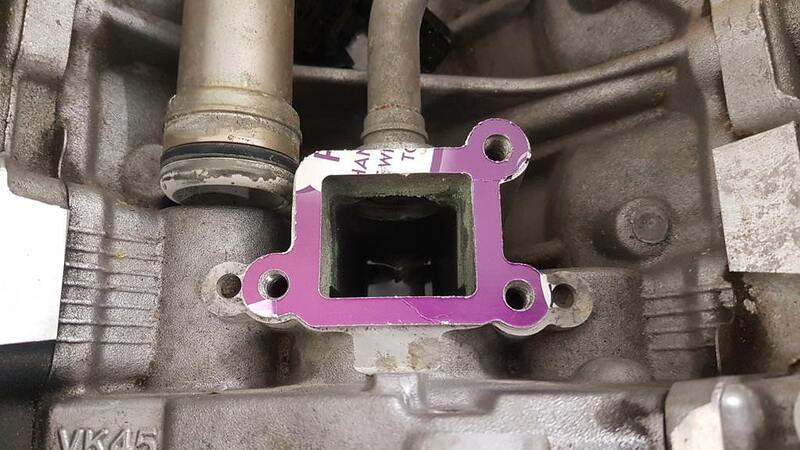 So I took a photo of the flange on the engine, it's really hard to measure the bolt pattern as none of the bolt holes are in line, put the photo into Fusion, measured the rectangle in the centre of the flange and sized the photo of that, then drew up the rest of it, and cut it out of cardboard on the table cutter to see if it was correct, looks good enough for me. When I get a chance I'll mill it out of some 5/8" ali flat bar and mill off the broken flange, I'll put a male & female step in the parts to locate them then weld the two bits together. I need to find a 35mm right angle bend which I'll weld onto it to replace the broken pipe. Well done, Mad envious, great skills and tools, well done. I've been looking for a gearbox for this for a while and just bought a complete VQ35DE and 6 speed box out of a 350Z, off to Queenstown with James this weekend to collect it. The gearbox has a dicky synchro which is pretty common, parts aren't too expensive for them, but if I can sell the engine then it'll pretty much pay for fixing the box and will still be cheaper than the other ones I've seen for sale.